Photo by CC user Tina Sbrigato on Flickr. While you may be stressed out over having to arrange the ‘big day’, relax! It’s once in a lifetime experience. Therefore, instead of letting emotions take over, take a deep breath and enjoy the finest moments of life. At the same time, be sure to take the best decisions regarding your daughter’s big day! While you’ll have the decision-making authority in many situations, remember that most of the event will be planned according to your daughter’s wishes. Since it’s her special day, she’ll love to decide how she wants her wedding to be. Also, remember the incoming new member aka the groom. He and his family have to be accommodated too in all the wedding event choices and decisions. There are amazing options available for dresses for mother of the bride but the best dress will be the one that just complements you and goes with the color scheme. Slay the occasion with your splendid gown as you’re the mother of the bride and many eyes will be on you! Also, involve the bride in shopping for your dress so that you both can have fun during the whole process. Offer help and let your schedule be known to the bride. This will help her in planning any shopping trips. However, leave it up to her to decide the time of the trip. Here comes one of the most important aspects: if you’re paying for the wedding, it’s necessary to be honest. You don’t need to be shy when telling how much you can afford. It’s easier and preferred by many brides to have the total amount available in order to spend it on different items as per need. In case you face some unexpected financial issues, and you cannot spend as much money as you promised, let the bride know. Here’s the fun part! Go with the bride and help her in choosing the best dress for the wedding. You can guide her in choosing a dress that’s flattering, yet comes within the budget and is perfect for the occasion. We know that weddings can make you stressed out but there will be moments where you’ll have to act wisely and solve out any problems. That’s because, during the wedding day, if the bride comes across any problem, that’s when she needs the most of your emotional support. Besides being with her, try to come up with a solution. While doing so, put your problems aside and remember this: you’re doing it for your daughter and her happiness. 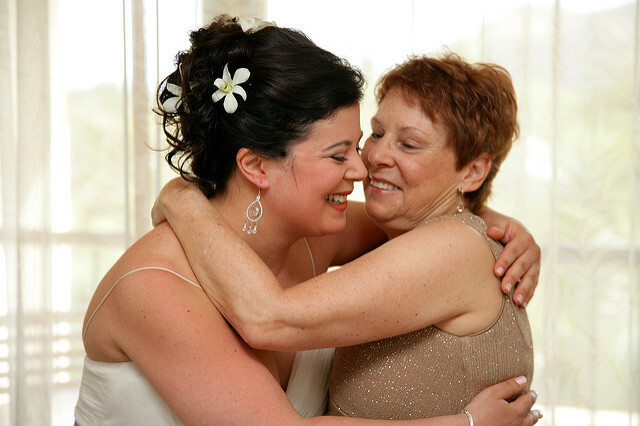 Tackling even the slightest issue will make you feel more confident as the mother of the bride! Whether it’s about choosing the right dress or selecting decoration vendors, everything needs to be perfect and planned. This is when your role as the mother of the bride comes in. And with a job well done, the happiness you’ll see on your daughter’s face will be unmatchable! Lauren Wallace is a woman in her 50’s with 3 kids who have flown the nest, now getting wed and giving her grand-babies! She enjoys writing and is currently sharing her experiences and tips for being Mother Of The Bride.